These bars are so beautiful and elegant and girly that as much as I couldn’t wait to eat them, it’s hard to stop admiring them. They’d be perfect with tea in the afternoon or with a bit of vanilla ice cream for a more substantial dessert, but I made them for a much more unusual event. My friend Chesley (who took all the photos here! thanks c!) and I made them to sell at a fundraiser benefit concert she organized for the Kibale Health Clinic in Uganda, a cause which we are affiliated with through work. The clinic provides free medical care and at-cost medicine to local villagers in the Kanyawara region. This specific fundraiser was aimed at aiding the clinic’s sexual health program, so basically providing free condoms to a region very at risk for STIs such as HIV/AIDS. The event was a great success and we raised lots of money, partially thanks to the sales of these bars! 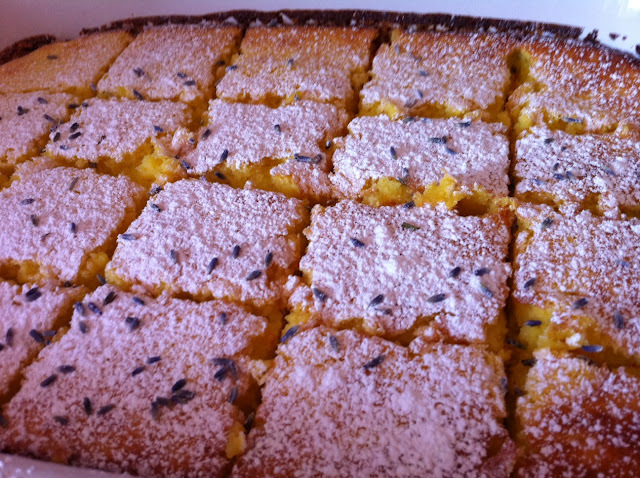 The delicate combination of bright lemon filling and a lavender shortbread crust is very hard to resist. For crust: Preheat oven to 350F. Cream together butter and sugar until smooth, add rest of filling ingredients. Mix until batter looks like coarse meal. 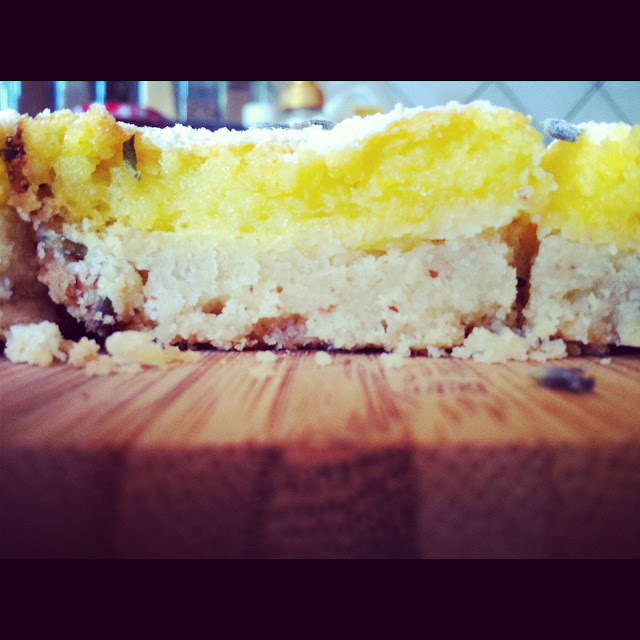 Press dough into a 13×9 buttered baking dish. Bake for 15-20 minutes until edges are golden brown. You’ll want to eat the result immediately, but wait! It gets better! For filling: Combine all ingredients and whisk until smooth. Pour over the warm crust and put back in the oven for another 20-25 minutes until top is light golden brown. Remove and let cool. 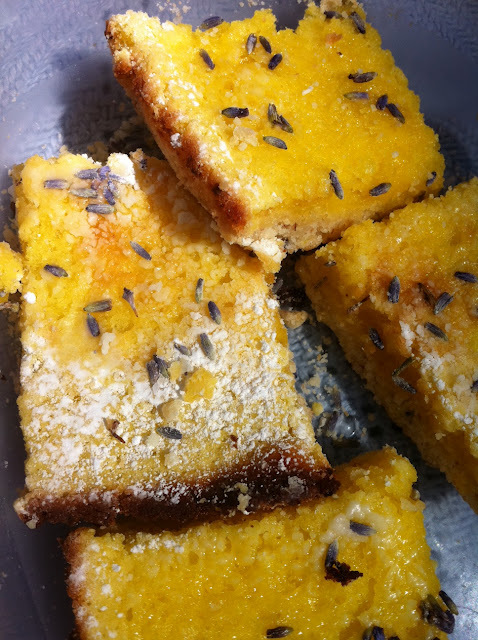 Dust the top with powdered sugar and extra lavender, cut into squares, and enjoy!